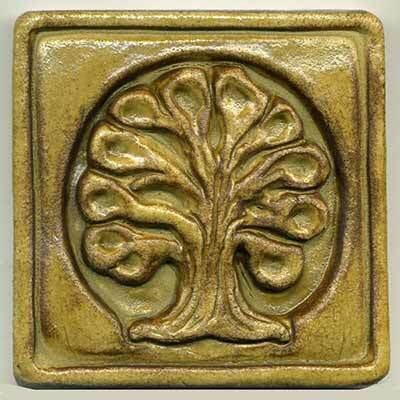 The stylized oak tree design is 4" square with raised a design. 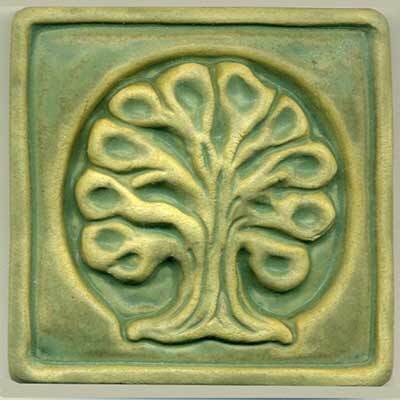 It is available in any single glaze or stain. Colors shown: grey-green glaze overall; iron oxide glaze overall.